Last edited by Creamo3; Jul 18, 2011 at 07:49 PM. Last edited by Creamo3; Jul 18, 2011 at 07:50 PM. 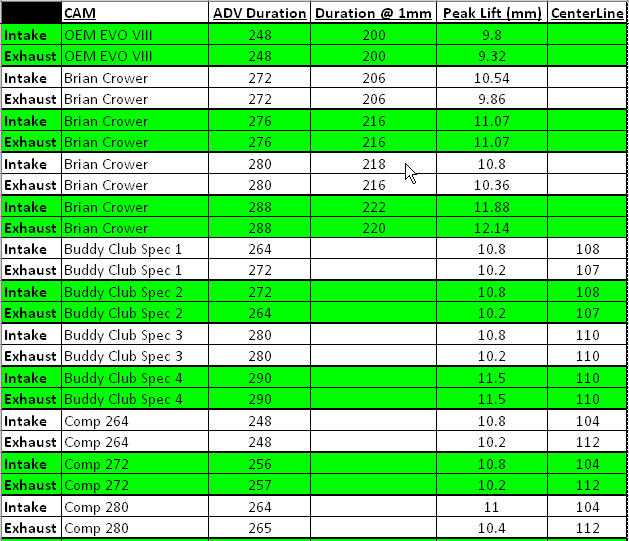 This is very helpful in looking at cam spec. Thanks for taking the time to do this. 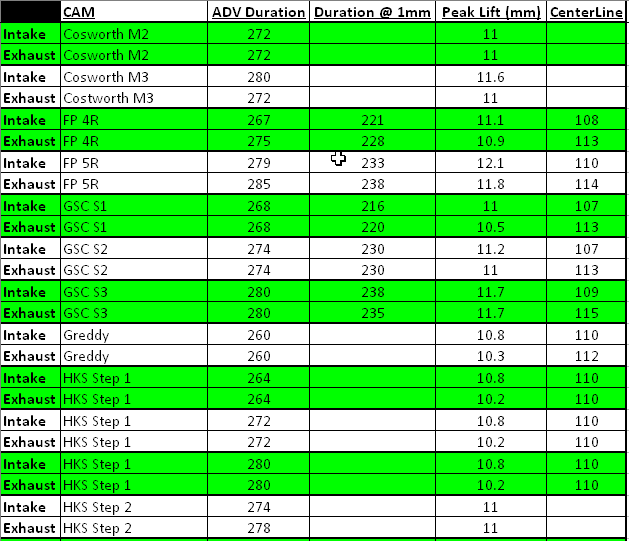 Helps a lot since I will be changing cams sometime this summer. I know someone that might have some gsc s2s for sale soon. Might have to buy them after seeing this. Added a bunch more, going to see if the mods will replace the current sticky w/ this. 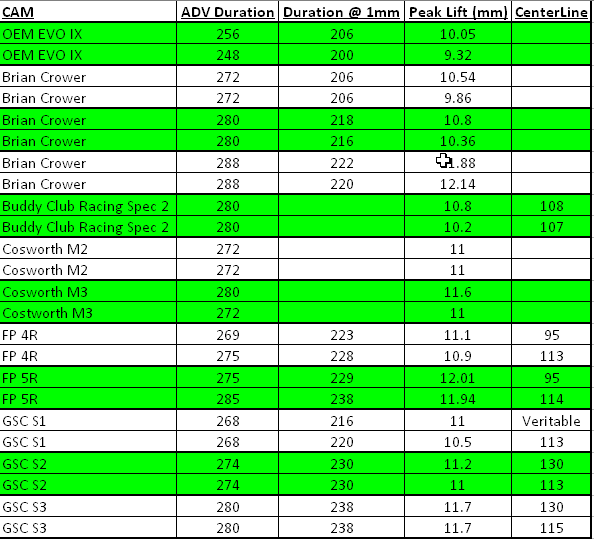 Is there any more info on the tomei 270 11.5mm lift as I have a set at the moment I'm fitting into my new 2.4 motor and need to know at what degree to set the max Lift of the cams to??? Last edited by craigybaby37; Jun 1, 2011 at 02:54 AM. 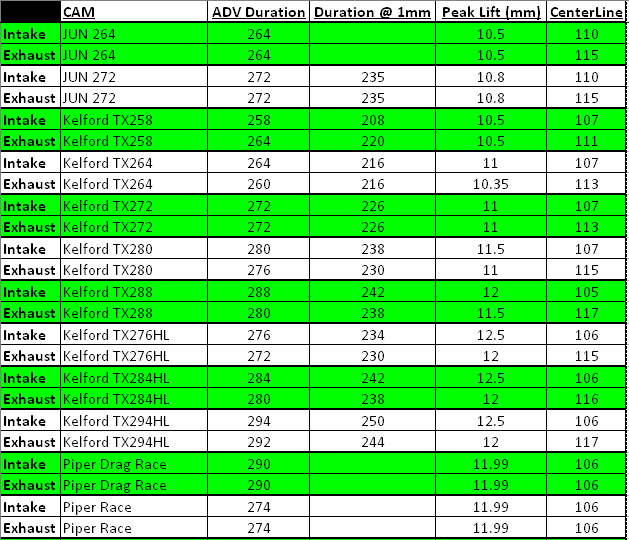 Found the info i needed in the end for the tomei 270 procams for hydraulic lifters with 11.5mm lift. 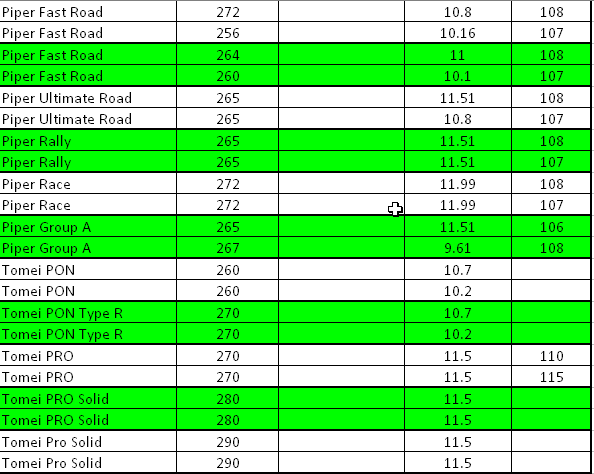 Centreline for exhaust is 115 is the OP can add the info to the chart. Good question, lift is how high the valve opens and duration is the period that the valve is open for. More lift/duration allows more air to enter the cylinder and more exhaust to leave the cylinder. 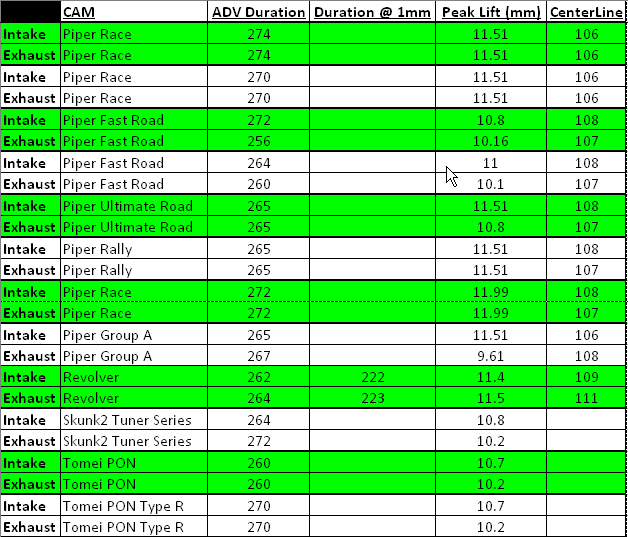 Typically higher lift/longer duration cams are a little rougher, but depending on overlap that can be reduced. I'm assuming you're talking about S3's. 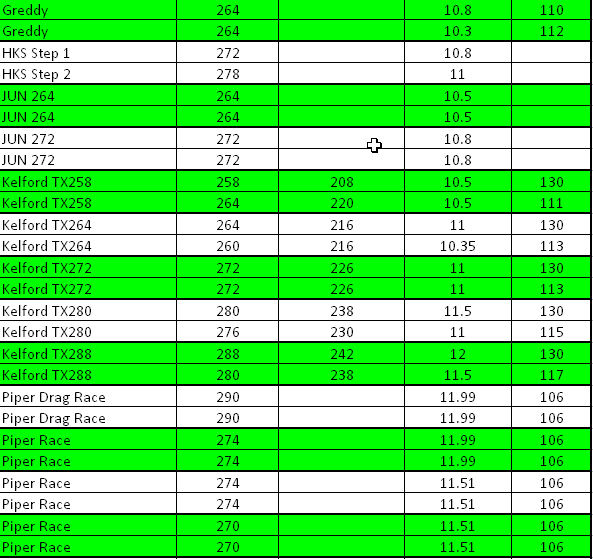 I'm running those currently and they are pretty aggressive, but don't idle much worse than S2's on my car. Although I've converted to speed density on stock ecu. You will sacrifice a little down low for big gains up top. Make sure to get upgraded valvesprings if you run these or the valves will float.